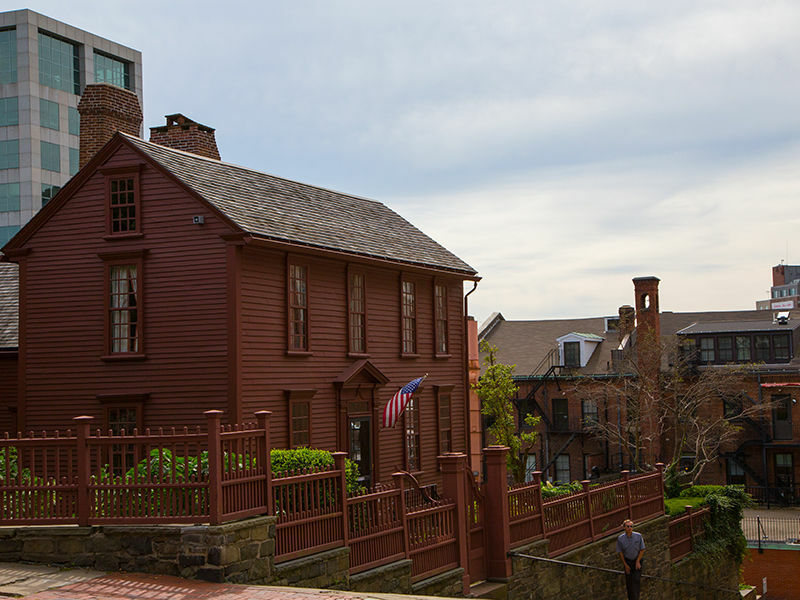 Take a tour of the 1707 home of Declaration-signer Stephen Hopkins, his family and their slaves, eight rooms full of antiques, Hopkins heirlooms and 18th century atmosphere. 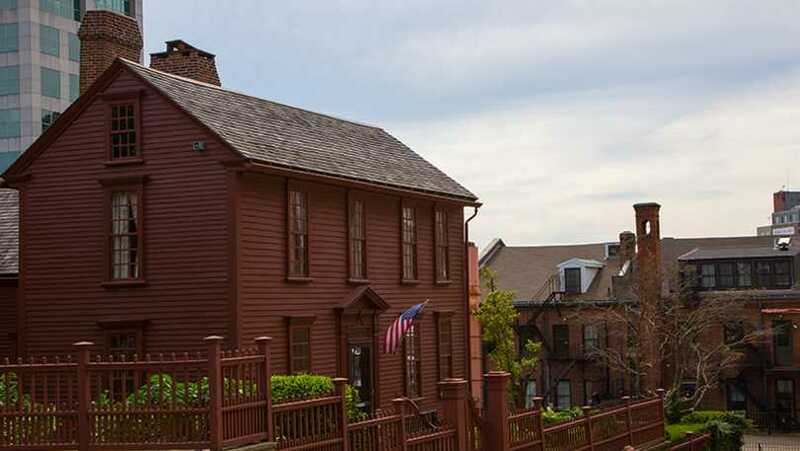 Learn about Rhode Island's own Founding Father and his house, the city's oldest, moved twice but virtually unmodernized, where George Washington was a guest in 1776. Relax in our parterre garden designed by Alden Hopkins of Williamsburg. We're on Benefit Street between the John Brown House and Roger Williams' First Baptist Church, a block from the RISD Museum, the Athenaeum, the Brown University campus and Providence's spectacular WaterFire. New for 2014 - open late for full lightings, last tour starts at 9:30 PM.